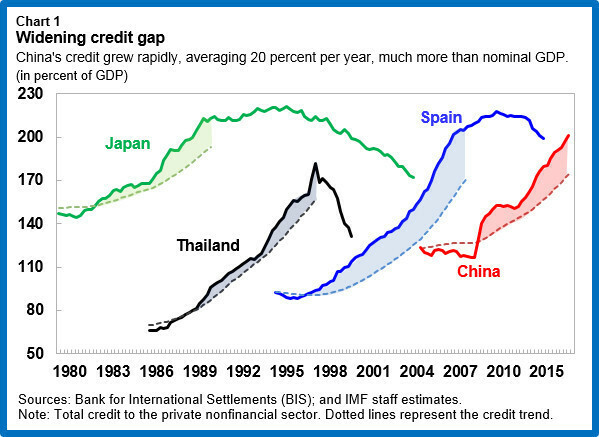 China urgently needs to tackle its corporate-debt problem before it becomes a major drag on growth in the world’s No. 2 economy. Corporate debt has reached very high levels and continues to grow. In our recent paper , we recommend that the government act promptly to adopt a comprehensive program that would sacrifice some economic growth in the short term while rapidly returning the economy to a sustainable growth path. - Triage: Identify companies in financial difficulty and distinguish between those that should be restructured and those “zombie” companies that have no hope of survival and that should be allowed to exit. Because of the existing links between state-owned banks and corporations, a new agency could be created to perform this role. - Recognize losses: Require banks to recognize and manage impaired assets. So-called shadow banks—trust, securities and asset-management companies—should also be forced to recognize losses. - Share the burden: Allocate losses among banks, corporates, investors and, if necessary, the government. - Harden budget constraints—especially on state owned enterprises— by improving corporate governance and removing implicit guarantees to prevent further misallocation of credit and losses. - Improve the legal framework for insolvency: But large-scale and expedited restructuring also requires out-of-court mechanisms to complement the existing framework. - Ease the transition:Broaden unemployment insurance coverage, provide income support for displaced workers and help them find new jobs. The social safety net should be improved because closing or restructuring loss-making companies in industries such as coal and steel could result in substantial layoffs. - Facilitate market entry: Dismantle monopolies in services such as telecommunications and health care and foster greater competition. - Improve local government finance: Ensure sufficient taxing powers and revenue sources for local governments to discourage off-balance-sheet borrowing.